1. 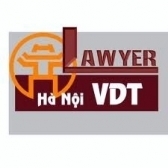 Vietnamese and foreign organizations and individuals that apply for enterprise registration under Vietnam’s law must pay the fee for enterprise registration. 2. Individuals, group of individuals, and households that apply for business household registration must pay the fee for business household registration. e) The Investment certificate already includes the content of business registration.